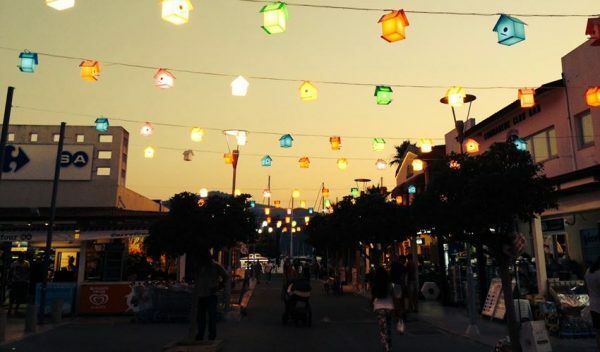 Do you want to explore more than one place in one holiday? 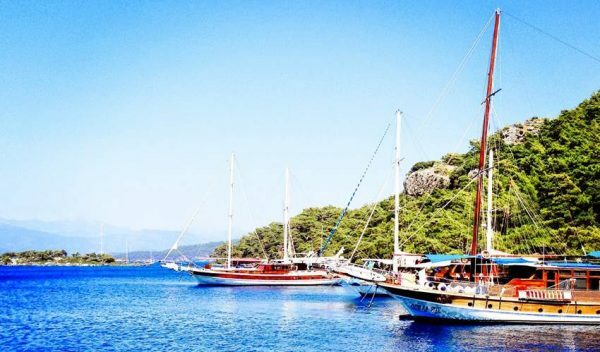 Do you want to experience a nice boat trip while exploring a new place? If you say yes, our Gocek Market Boat Trip from Fethiye is the best choice for you!! You will enjoy a nice boat trip while having the opportunity to mingle in the local people in a traditional market in this excursion. We will set sail to the topaz blue sea of Fethiye in the morning, towards Gocek. You will have the opportunity to swim in peaceful morning sea, this will freshen you up. If you wish, you can rest until we arrive Gocek at the shaded area, as we will be under the bright summer sun all day. 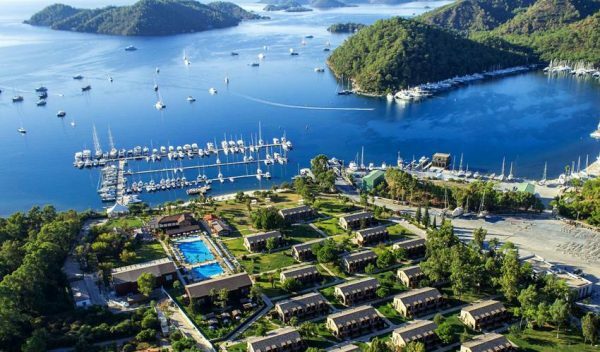 Until Gocek, the brilliant summer sky, the topaz blue sea and fresh ocean breeze will take your soul away. 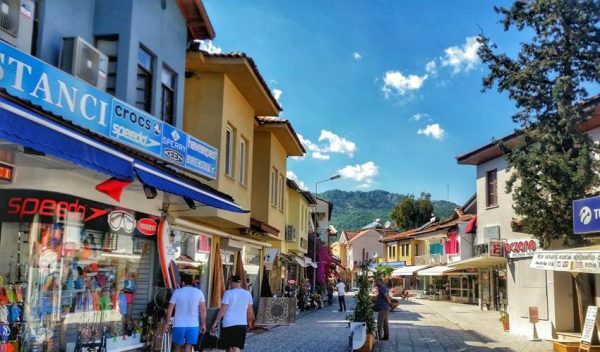 When we arrive Gocek, you will find the chance of exploring a variety of traditional goods. 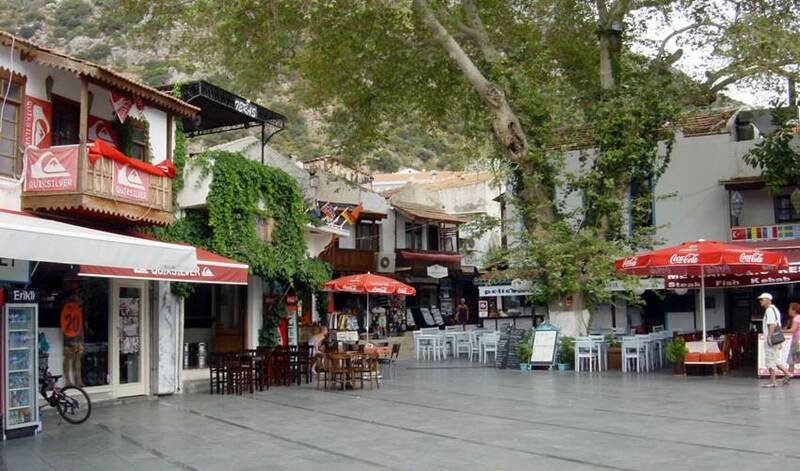 Fresh vegetables, fruits, clothes and handy crafts will be welcoming you to lovely Gocek Sunday Market. 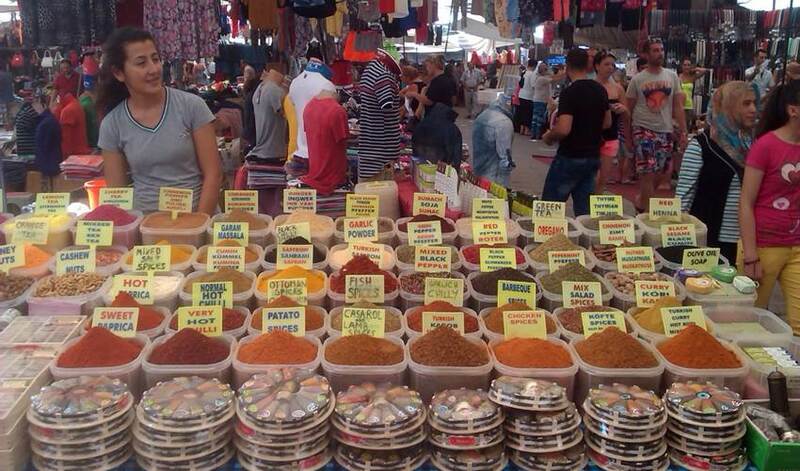 Do not hesitate to blend in, walk around the market, examine and look at the goods, you can even try and taste them! 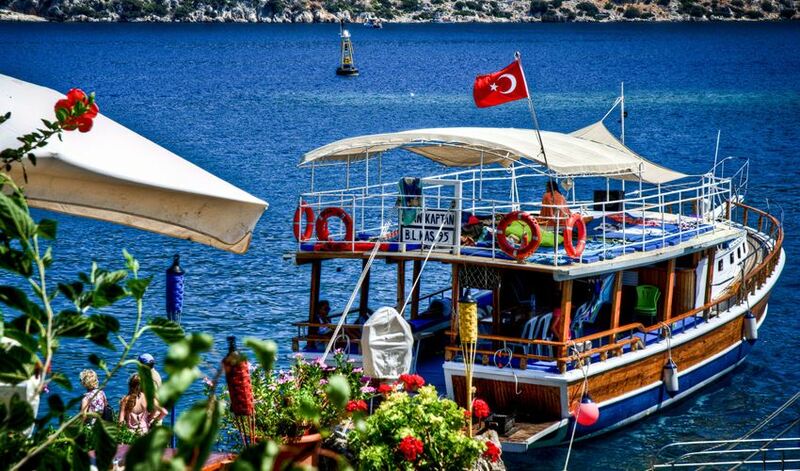 There is no better opportunity for you to discover Turkish culture more deeply. The traders here bring a variety of goods from all over Turkey. In those traditional markets, you can find everything from clothes to home textile, from souvenirs to food. You can definitely find something for you and your loved ones. 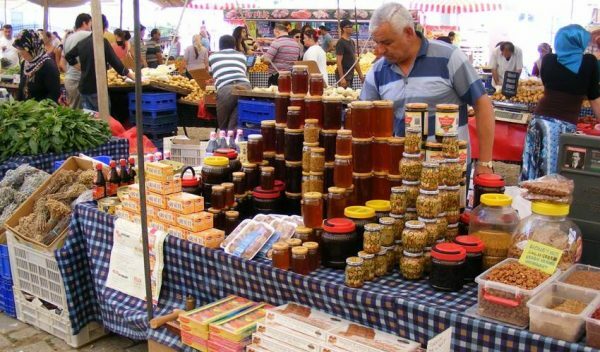 If you want to buy something, do not forget to bargain as it is an unwritten rule in Turkish markets. 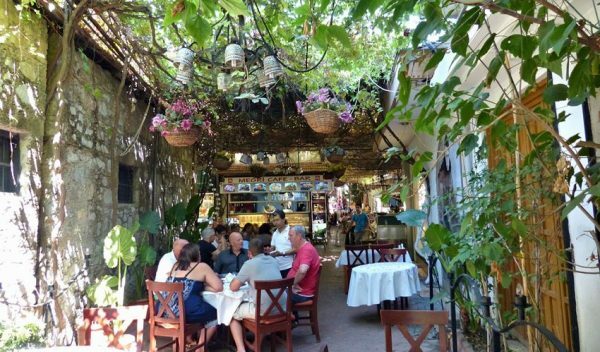 If you don’t want to spend a lot of time at the Gocek market, you can have a nice lunch in the lovely restaurants in Gocek marina. They all serve very delicious food, you will never forget the taste of those food here. The nature, the architecture, the sea and the summer breeze will enchant you in such a beautiful day. 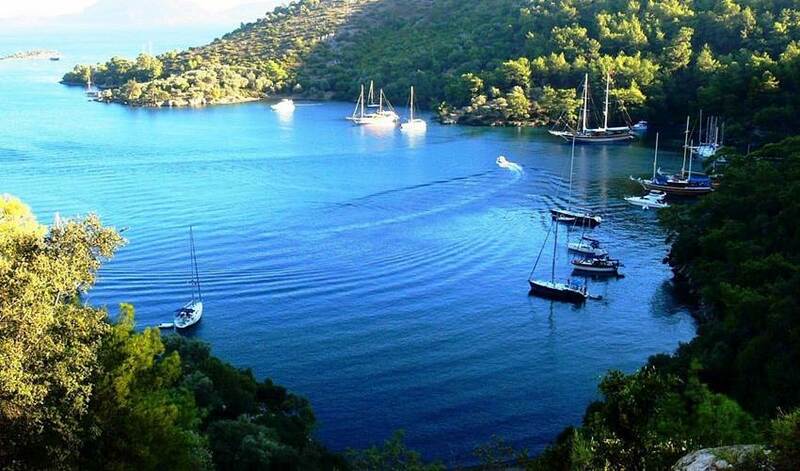 After 3 hours of free time at Gocek, we will head back to our boat. You will again have time to enjoy the warm summer day, and swim in the topaz blue sea on our way back to Fethiye. 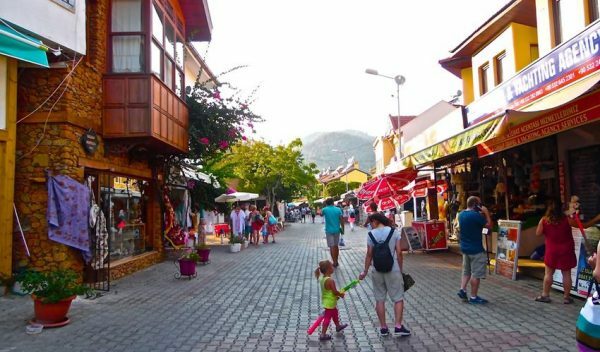 In our Fethiye Gocek Market Tour, you will experience a lot of unforgettable moments. Come and join us! Fethiye Marmaris Tour is also offering many shopping opportunities. 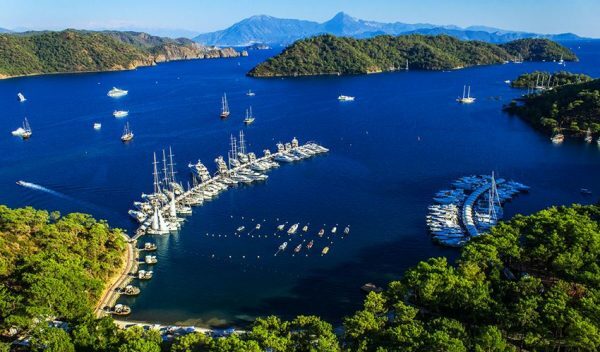 Gocek Market Boat Trip From Fethiye starts in the morning, our drivers and buses will be ready in front of your hotels. You will have a confortable bus drive to the harbour, where we set sail. In our boat, everything is designed to make you comfortable. Our two-deck cruise has sunbeds at the upper deck, and you will find a shaded area at the lower deck. There is a bar, a wc and a ladder to the sea. The staff is very friendly, they will happy to help you if you need anything. You will have 2.5 hours to explore and discover Gocek Market. In this traditional market, you can find everything. 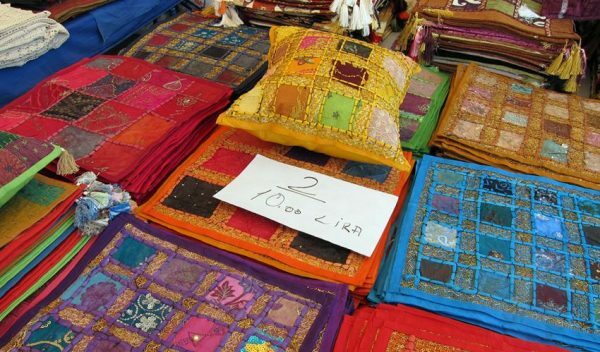 The traders sell a variety of Turkish goods, ranging from clothes to home textile. It is an endless ocean that you can definitely find something for you and your loved ones. However, do not forget to bargain and request a discount from the trader. It is an unwritten rule in Turkish markets. In the tour day, our captain will take you to the most peaceful coves. You will have the opportunity to swim in the crystal clear, topaz blue sea in a wonderful nature. 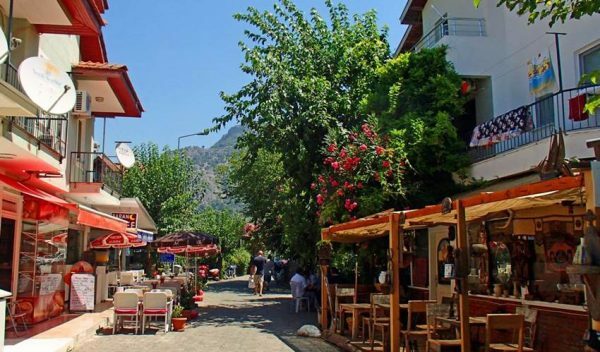 This will freshen you up, after exploring Gocek market. You will never forget those splendid coves. After our swimming break, our cruise will head to the pier. Our drivers and buses will be waiting for you there. On your way to your hotels, our drivers will provide you a comfortable journey. If you need anything during your travel, please feel free to inform our guides or drivers, they will be more than happy to help you.